The design of Healthcare Facilities is a complex task. This is well known to all healthcare professionals. A healthcare facility is a unique entity requiring specialized and experienced personnel to design it as well as commission and operate it. Finding suitably qualified and experienced personnel capable of providing a complete turn-key design solution is an immense task as the skill bases required to do so are diverse and unique to the healthcare field. Designing a fit for purpose healthcare facility in keeping with best International design standards and guidelines will not be successful if standard building design and construction concepts and techniques are employed. Contract Management. These processes require skilled and experienced personnel across a number of fields to develop the necessary documents and processes so as to ensure the Client’s concepts are represented correctly. design, thus minimizing expensive redesigns during the construction phases. – Developing bespoke design briefs unique to the Client requirements. This describes the technical aspects of key clinical spaces in terms of function, critical dimensions, MEP services and aspects of continued service. This is used to recruit and guide a design team for the project. – Selecting suitably qualified and experienced design teams including, Architects, Engineers, QS, Building Contractors and other professionals involved in the design and realization of the project. – Directing and supervising the design teams during initial concept and detail design phases to ensure that the designs proposed meet and exceed best international standards and practices for healthcare, co-ordinating with the Client to ensure designs are fit for purpose and reflect the user requirements. – Peer review of existing facilities and new designs working with the Client to ensure a fit for purpose facility. – Providing technical and clinical advice during the construction phase of the project and on any enabling works which may be required during active development, so as to ensure a continuity of design conformance to international design standards and practices. – Providing advice on all aspects of healthcare knowledge information management and quality, risk & patient safety management and systems implementing ISO 9001, IHSAB, JCI, CBAHI, UAE MOHESR CAA and ISO 27001 quality standards. – Providing specifications for tender for all medical (including Surgical Instruments) and non-medical devices required for the project based on the specialties identified in the operational and design briefs, and supervision / analysis of the tender and selection processes. – Providing a technical interface between the medical device suppliers and the technical and construction contractors to ensure awareness and installation of services required for the operation of the medical equipment. – Providing a technical design and review of ICT Infrastructure and Clinical Systems requirements unique to healthcare environments and ensuring it is a smart / digital facility. – Supervising the commissioning process and opening of the healthcare facility. – Providing base policy and procedure manuals for the operation of the healthcare facility. – Providing Accreditation Services support to assist the facility attaining international accreditation standards. 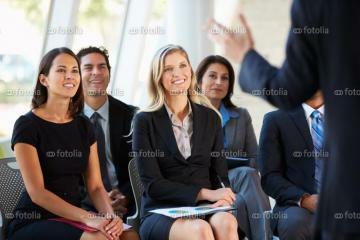 – Coordinating and Implementing induction and specialist technical training.